Thank you Miami Art Week! Thank you UNTITLED. and Miami Art Week! Participating in the Miami Art Week has been an unique and very valuable experience – with many new friends and contacts, it will be a pleasure to continue towards the Christmas rush season. 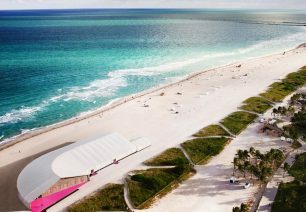 The ARTag Gallery, opened earlier this year, represents interesting Finnish contemporary art at the Untitled art fair to be held in Miami. This is the third edition of the Untitled art fair, which is part of the grand Miami Art Week. – Untitled has quickly reached a status of artistic appreciation and it is an honor to participate in the Miami Art Week as part of it. This is a great starting point for the conquest of the rest of the North America, says ARTag’s artistic director, Veikko Halmetoja. Untitled differs from other, more traditional art fairs. The exhibiting galleries have all been curated to create together larger ambitious contents. 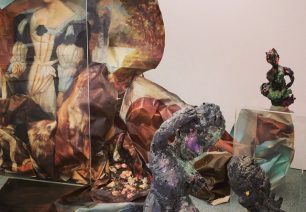 At Untitled, ARTag represents Finnish young artists Emma Helle, Teemu Korpela and Hans Rosenströn. 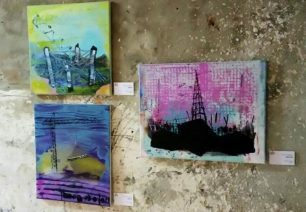 Some of Emma’s and Teemu’s works are currently also on display at the gallery located in Helsinki. Emma Helle (b. 1979) participates in the fair with ceramic sculptures. What makes her an exceptional modern sculptor is the way the classic sculpting tradition remains strongly present in her work while she highlights the various similarities between postmodern and baroque shapes. Teemu Korpela (b. 1980) will present a painting installation at the art fair. He conceptualizes classic painting with a brisk touch. He dominates the classical way of painting but plays around with his expertise without shame while creating three-dimensional ensembles. Hans Rosenström (b. 1978) will prepare a sound work for the art fair. He makes installations about the spectator’s relationship with the surrounding moment and space. In his work, Rosenström uses various materials such as sound, text, light and constructed elements. All the Finnish artists present at Miami Untitled have been selected by Curator Aura Seikkula. In addition to ARTag Gallery, she has invited along two other Finnish galleries, Sinne and SIC. Untitled will be held from 3rd till 7th of December, 2014. There will be over 95 galleries and 19 countries participating in the event. Over 25.000 visitors are expected to attend the exhibition. ARTag Gallery was opened in Helsinki (Hietalahdenkatu 10) during summer 2014. 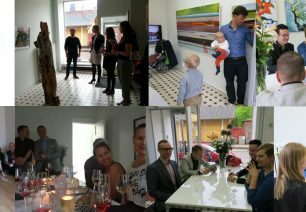 ARTag Gallery promotes professional Finnish contemporary art in Finland, Europe and US. Veikko Halmetoja, Artistic Director of ARTag Gallery, has an extensive experience as an art critic – he personally selects not just the artists but also each artwork for the gallery. Therefore clients can trust that the artworks they buy are one of the most important works from our artists. 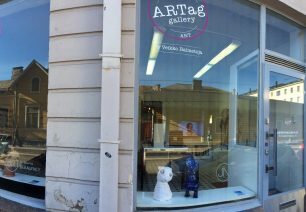 ARTag Gallery exhibits mainly paintings, photographs, original prints, single-channel videos and sculptures. ARTag Gallery also produces larger installations and private exhibitions with museums and other institutions.